Siarum consolidates all your business tools into one single platform. Sales, marketing, HR, payroll, accounts receivable, recruiting, communications, email, cloud security and text just to name a few. 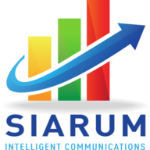 Siarum is intelligent enough to route an email from a client right into their activity log. Siarum automates this process to help shorten the sales cycle.